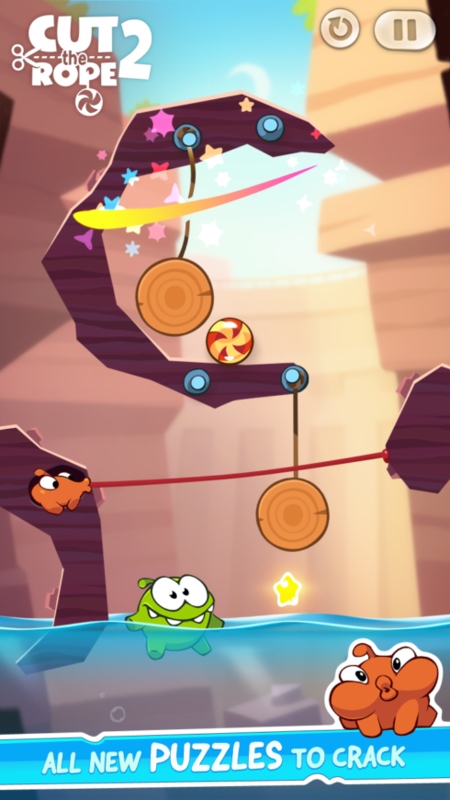 Om Nom’s adventures continue in Cut the Rope 2! 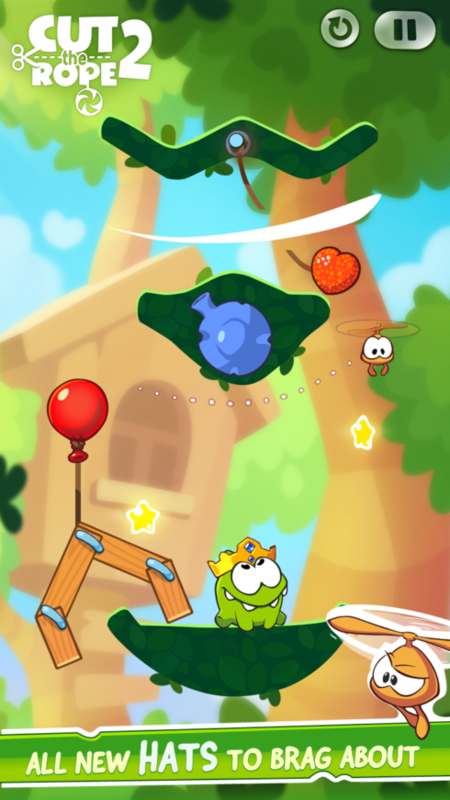 With new characters, fresh gameplay elements and tricky missions, candy collecting has never been so fun! 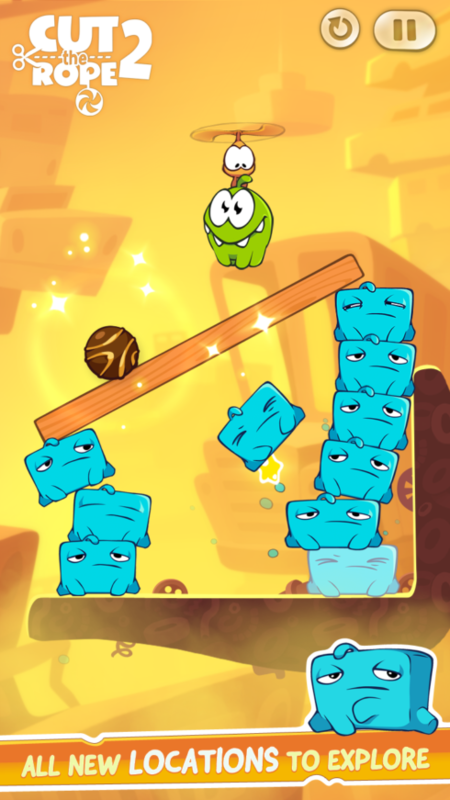 Customize Om Nom, choose your favorite candy and select your finger traces. Find 7 new characters, the Nommies, to help you on your unexpected journey. 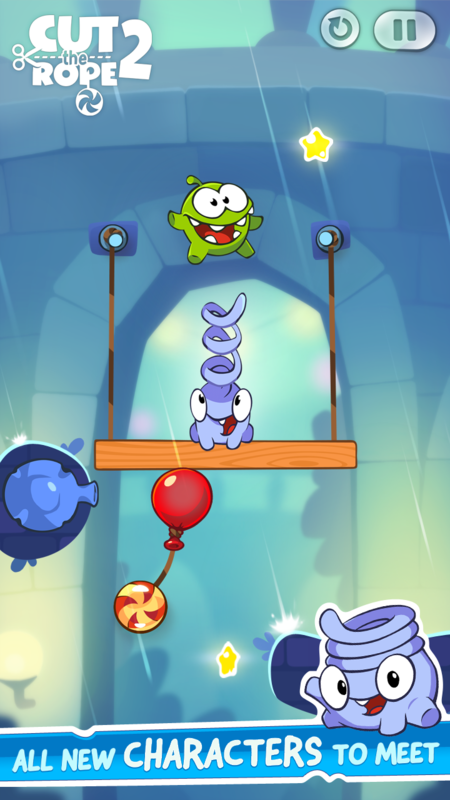 Experience completely new graphics, sound and gameplay elements, including the ability to move Om Nom!